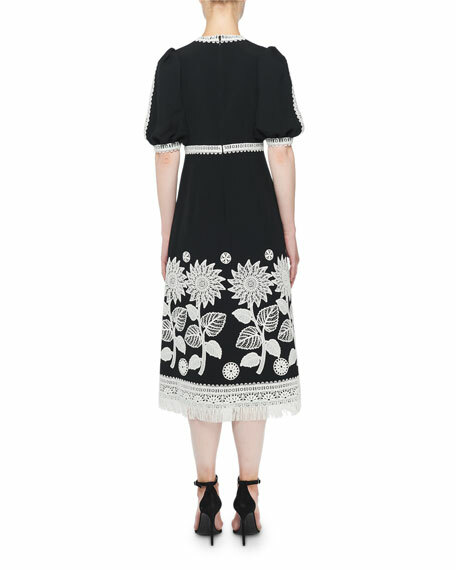 Andrew Gn peasant dress in stretch crepe with contrast sunflower embroidery and trim. Born in Singapore, educated in London and Milan, and based in Paris, Andrew Gn designs from a global perspective. From the launch of his eponymous brand in 1996, Andrew Gn has presented ready-to-wear gowns, jackets, skirts, dresses, and accessories lauded for a balance of Oriental and Occidental styles, elaborate embellishments, and craftsmanship of the highest quality. A.L.C. 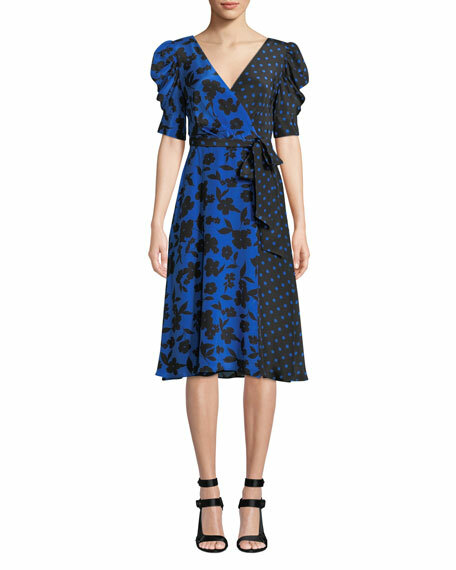 "Renzo" dress in metallic leopard-print. High neckline. Sleeveless; dropped armholes. Smocked waistband. A-line silhouette. Asymmetrical hem. Midi length. Polyester. Imported. 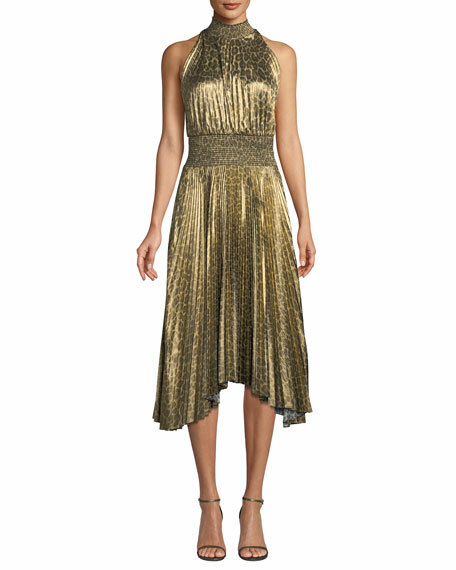 Halpern cocktail dress in allover two-tone sequins. V neckline. Long, extended sleeves. Sheath silhouette. Back zip closure. Midi length. Polyester; lining, silk. Made in UK.